And guess what? You're In The Band! 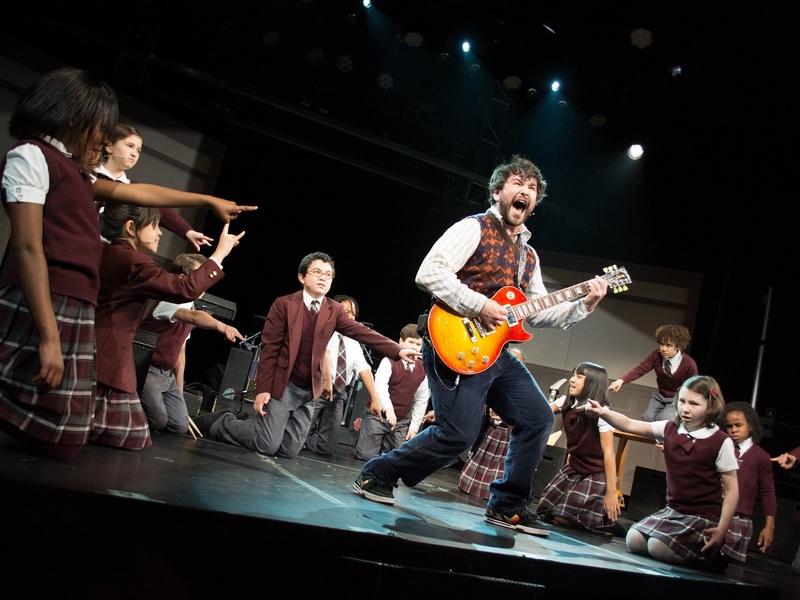 Based on the 2003 film of the same title, School of Rock, the Broadway Musical will feature music from the movie in addition to an original score by Andrew Lloyd Webber and lyricist Glenn Slater. The film was hailed by The New York Times as an 'irresistible comic postscript to the rock revolution." and went on to gross more than $130 million WORLDWIDE. Those are some impressive numbers! School of Rock - The Musical follows Dewey Finn, a failed wannabe rock star who decides to earn a few extra bucks by posing as a substitute teacher at a prestigious prep school. Completely disinterested in academic work, Dewey decides to create his own curriculum, turning his class into a guitar-shredding, bass-slapping, mind-blowing rock band. FIRST OF IT'S KIND 360° MUSIC VIDEO OF "YOU'RE IN THE BAND" FROM "SCHOOL OF ROCK - THE MUSICAL"
This video was shot in an actual New York City classroom and was designed by Andrew Lloyd Webber and School of Rock book writer Julian Fellowes utilizing 360° technology that lets you navigate all angles of the classroom - so you can bring a bit of Broadway directly to you in an immersive, engaging and interactive way! I was super surprised when I first heard this was in development, for some reason I just couldn't imagine it adapted for Broadway so I am looking forward to seeing this show and seeing how they adapted the movie for the Broadway Stage! The 360° video is certainly a unique way to promote it and I am glad I got the chance to see it and share it with you today! 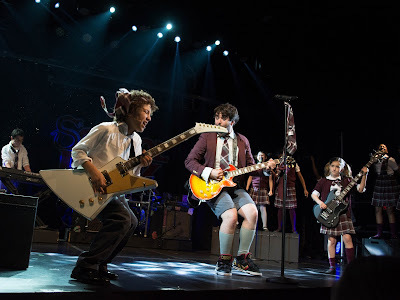 Readers Sound Off: Did you see School of Rock - the movie? Will you see the Broadway Version? What do YOU think of the interactive 360° technology that was used to create this video? FTC Disclosure: All opinions are 100% MY OWN. this is a Sponsored/Compensated Post. I am disclosing this in accordance with the Federal Trade Commission 16 CFR, Part 255 - Guides Concerning the use of endorsements and testimonials in advertising, you may check our Giveaway and Disclosure Page for additional information regarding Ascending Butterfly Disclosure. That sounds like a great show. I totally want to see it when I am down there in a few weeks. Holy crap, that's awesome! I would totally go to this. Live music is the best. I loved this movie I just saw a poster in the subway station about this - I didn't realize it was coming to Broadway. I will def go see this! The good thing about Broadway shows is that sometimes they take them on the road, or they hire another production with a different cast to go on the road. I hope this one does. This sounds like a really cool show! I would love to see it one day. This is so cool! It's like the movie in real life which would be so fun to watch! This sounds like an awesome show. Some I'd enjoy seeing with my husband. This looks like it could be such a great show ! School of Rock on Broadway sounds phenomenal. It will be a challenge for the stage crew, I'm sure, but should be fun. I loved the movie! I bet the show would be fun to see with the family! The music has to be outstanding! I loved the movie and would love to see the play. My son is in Drama Club at school, and we enjoy going to see plays in our area. I did see the movie. The Broadway show sounds fun. I saw the first movie, This sounds great and I would love to see it. I saw the movie but would love to see the show. It sounds like such a blast! What a cool show. I wish we live closer, so we could watch this, too. NY's Broadway theatre is a must see for anyone who visits. OMGosh. I loved the movie. This is going to be awesome. I hope it passes through someplace close to me. Haven't been to New York. A music event would be a perfect event if I have to visit for the first time. School of Rock - The Musical would be amazing to see. It would make a fantastic date night. I will have to see if it is coming to my area. I loved the movie version, so I think I definitely need to see this one too. It sounds so fun! I like to see musicals. I haven't seen one in a good long time though! i love musicals but i actually haven't seen the movie though i would see it on broadway. i used to wear these same uniforms! What a great show! I've never been able to see a musical in person, this would be GREAT! What a great show! It looks so fun! I had no idea School of Rock was going to be on Broadway! The show sounds awesome! The movie was pretty entertaining; so I can only imagine how much fun the theater production would be. I liked the movie – I thought the kids did a really good job in it. I would love to see this! The movie was a favorite of mine. What a great show!! I would love to see School of Rock in person. I love the movie!